Bangkok: A cave complex in northern Thailand where 12 boys and their football coach were trapped for more than two weeks is set to be turned into a museum, a media report said on Thursday. 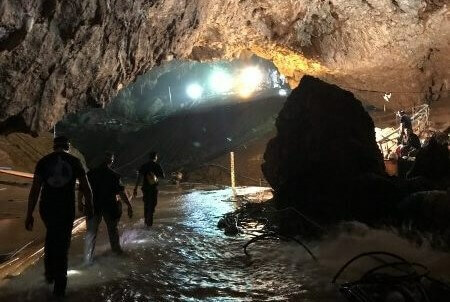 Rescue officials said the museum would showcase how the operation unfolded in the Tham Luang cave, adding that it would be a “major attraction” for Thailand, reports the BBC. Video has been released showing them in good health, though they will stay in quarantine for a week. However, Prime Minister Prayuth Chan-ocha has said precautions would have to be implemented both inside and outside the cave to safeguard tourists, the BBC reported. The 12 boys and their coach first made their way into the cave on the June 23, but found themselves trapped inside after heavy rains poured down and caused the cave to flood.